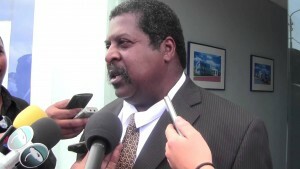 WILLEMSTAD - Former Prime Minister Dr. Bernhard Whiteman wants to lead opposition party Pueblo Soberano. He has nominated himself a candidate for the leadership position which became vacant after Jaime Cordoba, the only Member of Parliament for the party announced his resignation. Whiteman was previously a member of Pueblo Soberano and served in several capacities representing the party in government. He was Minister of Health, Environment and Nature in the Hodge Cabinet and the Asjes cabinet. At the elections in October 2016, he was on the list of the party, but he did not want to the position of Member of Parliament. Whiteman then gained a fifth of all PS votes.